Socialite Margaret Vaughn is the wealthiest heiress in London-or so everybody thinks. Saddled with debt left by her father, she agrees to marry a rich man who can save her family's estate. But when her fiancé turns out to be just another poor social climber, Margaret faces financial ruin-and social humiliation. Just when she thinks all is lost, she finds an unlikely angel in Tom Poole . . .
After amassing a fortune in the gold fields of Australia and surviving a harrowing shipwreck, Tom Poole is the toast of London society. Yet despite his newfound fame, he's never forgotten his own humble beginnings. When he learns of Margaret's plight, he offers her financial assistance-but his interest is not strictly business. Taken with her beauty and grace, the rugged adventurer wants nothing more than to win Margaret's heart. But can he convince the proper, refined lady that, despite their social differences, they are a match made in heaven? "This sweet and charming romance will touch your heart." 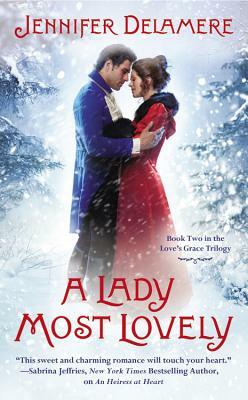 "Jennifer Delamere sets a new standard in Victorian romance, with characters who shine and a plot that will keep you guessing." "A sweetly rendered tale of discovery and forgiveness with a refreshing touch of innocence."